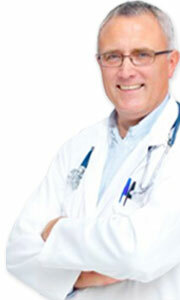 What is an Academic General Internist? 1Levinson, W., Linzer, M. What is an academic general internist: career options and training pathways. JAMA. 2002;288(16):2045-2048. What is The Society of General Internal Medicine? The Society of General Internal Medicine is a national medical society of over 3,000 academic general internists who are the primary care internal medical faculty of every medical school and major teaching hospital in the United States. SGIM members teach medical students, residents, and fellows how to care for adult patients. 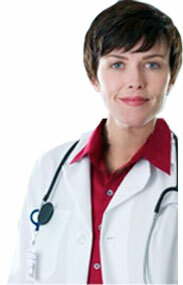 They also conduct research that improves primary care, preventative measures, and treatment services for patients. Why Should I Join SGIM? As a member of the SGIM, you have full access to our member benefits and networking opportunities. These tools will enable you to excel in the practice of academic general internal medicine and your career regardless of your experience level. You will also receive registration discounts for our annual and regional meetings, a full print subscription to the Journal of General Internal Medicine and access to GIM Connect, SGIM's online social community platform. Interested in the work of SGIM committees, task forces and workgroups? Get Involved Today! What Meetings are Offered Throughout the Year? SGIM offers eight meetings throughout the year. Our national meeting in 2013, "Celebrating Generalism: Leading Innovation and Change" will take place April 24-27, 2013 in Denver, CO. Registration will open in January 2013. SGIM also hosts seven regional meetings in the fall and spring at different locations throughout the US. Click here for regional meeting information. How Can I Submit My Work or Volunteer for the Annual Meeting? The Call for Submissions for Workshops, Precourses and Interest Groups is now open. Read the full call here. All career levels are welcome to submit material. 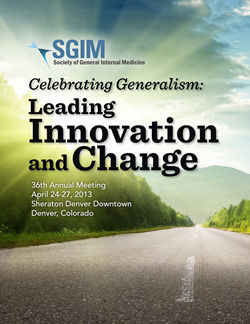 SGIM members are welcome to volunteer for the 2013 Annual Meeting in Denver. The peer review of annual meeting submissions engages more than 300 volunteer members each year. There are two rounds of reviewing – one in October/November and the other in January/February. Upon invitation to join a review group please remember you may only join one review committee during each round of review. All reviews are web-based, this is a paperless process. If you are interested in becoming a Workshops reviewer for the 2013 Annual Meeting in Denver, please contact Geraldine E. Ménard at gmenard@tulane.edu or Auguste Fortin at auguste.fortin@yale.edu , Co-Chairs for Workshops. How Can I Secure My CME Credits from a Previous SGIM Meeting? Does SGIM Offer a Career Center? Yes! Visit the Career Center to post or browse online jobs. Post a position by registering as an Employer and browse the open positions by registering as a job seeker (both free!) For questions or print advertising in SGIM Forum or the Journal of General Internal Medicine, contact Francine Jetton, Director of Communications. Does SGIM Participate in Health Care Advocacy? Yes! The Health Policy Committee (HPC) promotes and supports policies that improve patient care, strengthen education and training, and promote researchers and their research in general internal medicine. The HPC does not advocate for issues that are divisive within SGIM membership. To use limited resources most effectively, HPC advocacy focuses on issues that are critical to General Internal Medicine’s future or on which SGIM offers a unique perspective. The Health Policy Committee is always looking for new members on their education, research, clinical practice or member development subcommittees. Click here for more information on the work of these subcommittees and to find contact information for each chairperson. Visit the contact us page to query specific staff members or contact the National Office.